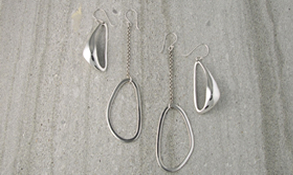 Founded in 1991, DSA is a company specializing in silver jewelry, which it distributes in Canada. A wide selection of models is available to our customers twice a year (Fall / Winter and Spring / Summer). Find the best contemporary style jewelry at very competitive prices. Customer Service is our highest priority as evidenced by the longevity of our customer relationships. Come see our new creations at the Mode Accessories Trade Show of Toronto and thus see our complete collection of silver jewelry. Our pledge to quality does not undermine our determination to partake in a business that is safer for the environment and that respects well-defined ethical values. Fashioned with creativity, an exclusive collection with a modern edge is available. Inspired by trend and time, our jewelry reflects today's needs. Founded in Montreal, DSA specializes in wholesaling and distributing sterling silver jewellery 925 in North America. DSA designs and creates its silver jewels with the highest standards of quality and a great care for details. 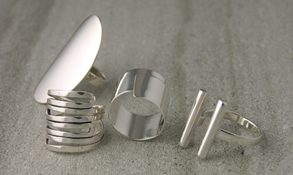 By requiring strict production and a perfect finish for each of our products, we are able to provide fine silver jewelry created with distinction, at the most competitive prices. Our distribution network across Canada and part of United States, provides effective representation of our jewelry in America.